Animal Clinic of Woodruff offers boarding for current clients of Dr. Walden and Dr. Brown only. If you would like to become a patient at the Animal Clinic of Woodruff so you can board please call 864.576.9800. Whether you’re taking a quick trip or long vacation, we offer safe, secure, and friendly boarding services for cats and dogs. Our pet care specialists know your pets already, so we can provide the loving, supportive care that they need while you’re away. As part of our dog and cat boarding services, we walk dogs twice a day and clean cat condos twice a day. We can provide Science Diet food, or you can bring in your own food for us to serve. 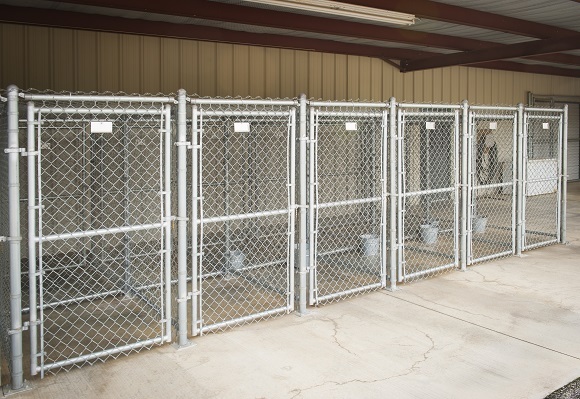 Our facility includes a large, grassy backyard that is completely fenced in for fun-filled days. Our commitment to pet health and pet care extends beyond just veterinary visits. We believe in maintaining a clean, happy, healthy environment for all of our guests, and will treat your loved ones as our own. To protect the health of your pets and the others boarding with them, all pets must have completed a full health exam and be up-to-date on all vaccines before boarding with us. Reservations are required. To arrange for boarding, please call 864.576.9800.